The Certificate of Attainment provides evidence of knowledge competency defined by Exemplar Global for certification as a Quality Management Systems Lead Auditor. 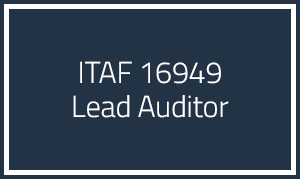 A prior review of the IATF 16949:2016 standard and internal audit experience is suggested for this course. This course is delivered by SCMEP in partnership with Pillar Management Associates. Completion of this course satisfies the training requirements for certification by Exemplar Global as a lead auditor.